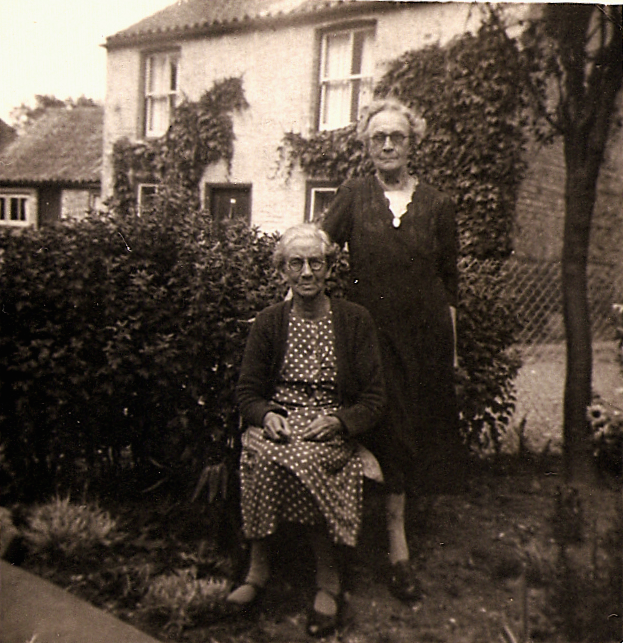 The Great Great Aunt – photograph of my great great aunt Rose Ellen Martin, with her niece Mary Goodge – a photo that would have been taken around the time that Mary lost both of her parents in war. 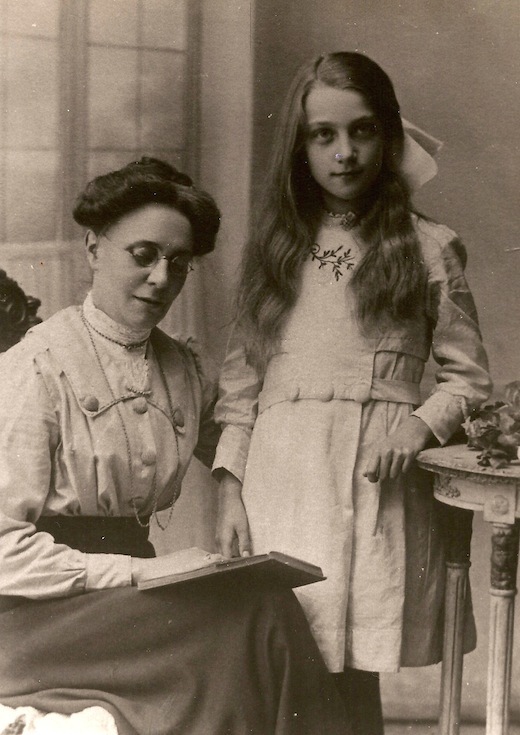 This photograph shows my Great Great Aunt, Rose Ellen Martin, with her niece Mary Goodge. I’m unsure of Mary’s age in this photograph, but I imagine that it sits right on the cusp of the tragedy that claimed Rose’ sister Emma Jane Martin, Emma’s husband John William Goodge, and left a six year old Mary as an orphan. Together with her mother (Mary’s grandmother, Sarah Elizabeth), and likely Mary’s other grandparents Henry and Amelia Goodge, Rose cared for Mary. Mary’s father John died on 12th February 1917. He was Private 34480 of the Duke of Cornwall’s Light Infantry. He is buried in Pas de Calais, France in grave I.B.19 at the Wanquetin Communal Cemetery Extension. He was 31 years old. Mary’s mother Emma Jane (Rose’s younger sister) died 7 months later on 17th September 1917, aged just 29 years old. Having tuned into family grapevine (yes, I know, dangerous… but it often contains clues and not always facts) I believe that a wall collapsed onto her. She was buried 4 days later in Littleport, Cambridgeshire. I’ve checked the British Newspaper Archive and the story hasn’t appeared there.. so this may be a death certificate purchase if I want to know the cause (as above, i know the date). These losses would have been hard to bear, and unsurprisingly they weren’t alone. During a period of 11 consecutive months, not only did Mary become an orphan, but Rose also lost two of her brothers to the First World War. The photo below shows Emma with Rose, some years earlier. Emma Jane with sister Rose Ellen Martin some years earlier. Rose remained unmarried, and never had any children of her own. She entered life of servitude at the age of at least 15, when she appears on the 1891 census as living at home as a ‘Domestic Assistant’. She goes on to leave home, and by the 1901 census, she’s living in Clapham, London, and working as a ‘Parlourmaid‘ for Dental Surgeon William John Parks, of 32 The Chase. She remains here for at least another 10 years, where she appears living with Mr Parks’ widow Hannah in 1911. After working for a doctor in Littleport, Rose went on to live a long life – reaching the age of 79 years when she died on 23rd May 1955. 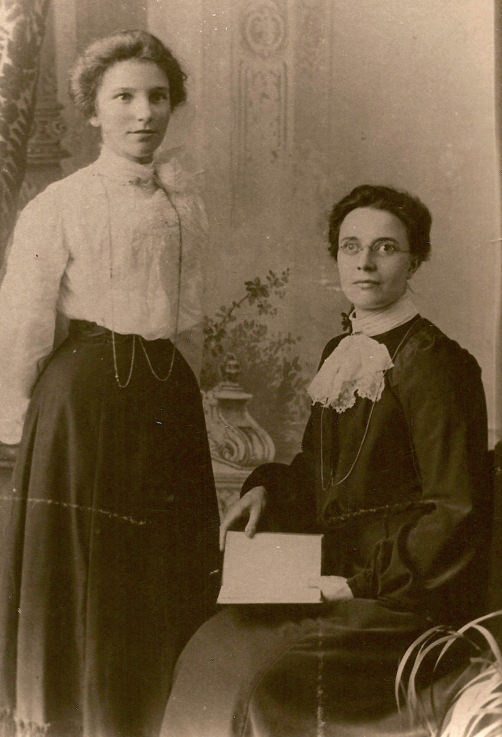 Rose Ellen Martin (standing) with sister-in-law Rebecca Ann (née Lythell) in later years. She was buried alone, with a headstone, in Little Downham cemetery. As for Mary… technically she might be 104 years old by now. Her life remains a complete mystery to me. With few ageing relatives left to ask, I’d like to find out what became of her before it gets any more difficult. Did she marry, have children, or go into servitude like Rose? I’d love to find out.